Davis Controls Ltd. - Blog: Davis Controls Ltd. - Happy 80th Anniversary! Davis Controls Ltd. - Happy 80th Anniversary! By any standard, this rare and distinctive acknowledgement of endurance and survival is recognition of a truly unique accomplishment. For any business, but in particular for a Canadian Distributor of Process Controls and Industrial Instrumentation, to achieve this milestone is a testament to sound strategy, dynamic leadership, generations of success oriented people and good fortune. 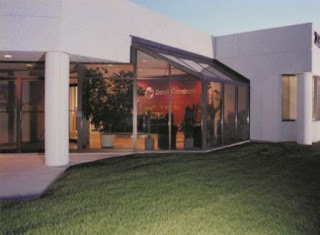 Founded on September 01, 1933, Davis Controls Limited is now a member of the small and select community of Canadian companies to merit the 80th Anniversary distinction. With headquarters in Oakville, ON and branch offices in Montreal, Thunder Bay, Windsor, Calgary and Vancouver, Davis Controls is a model of Stability, Leadership, Strength, Endurance and Control, the same attributes we ascribed to the products we represent. 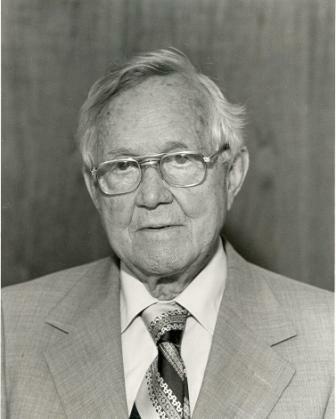 Following graduation from the University of Toronto in 1928 with a degree in Mechanical Engineering, Cecil R. Davis found work on resource and transportation projects in Northern Ontario and Eastern Quebec, finally ending up back home, where he became resident engineer on the newly constructed Welland Canal. Shortly after getting married in 1929, the Great Depression set in and jobs became difficult to find and to keep. Mr. Davis enjoyed short periods of employment with Northern Electric and Massey-Harris, but in late 1933, once again found himself broke and unemployed. Davis Controls Limited was one of the first Canadian companies in the controls and instrumentation business and began operations in a one-room store on Bond Street in the heart of Toronto. 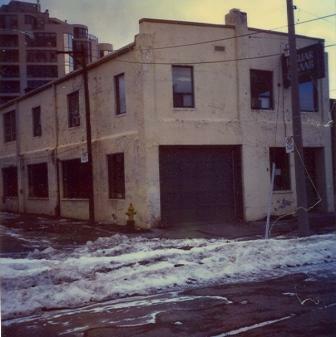 Post depression growth forced expansion to larger premises on Wellington Street, then Blackmore Street, Dundas St. W. and finally to it’s present location on Bristol Circle in Oakville. During W.W. II, in addition to the promotion and sale of the industrial lines represented at the time, Davis Controls Ltd. supplemented industrial sales with repair work for the Royal Canadian Air Force. It was during this period that the company incorporated. Shortly after the war, Davis opened an office in Montreal and then another in Winnipeg in 1955. The familiar “Automatic Watchdog” logo, which has been with the company in one way or another since day one, was initially developed in two forms. Both were graphical representations of a Great Dane, one in the form of the whole dog and the second depicting the head of a Great Dane in a two ringed circle. The space between the rings of the circle enclosed the words “Automatic Watchdog Controls”. Mr. Davis records that research conducted on successful advertising campaigns of the day revealed that domestic animals were second only to children in public appeal. Davis elected to associate the “impressive” stature of the Great Dane with the ‘Automatic Watchdog’ monitoring and control function of the instruments represented by the company. Over time, the company, the people and the products became synonymous with their role and responsibility as ‘Watchdog’ over the Instrumentation and Control requirements of Canadian industry. The rest, as they say, is history. The very first product line represented by Davis Automatic Controls was Automatic Switch Company (ASCO). Since day one, the company has been active in the areas of timing, counting, programmable control; liquid and solid level control; pressure and temperature control; solenoid valves and flow control; motor control and other specialized areas of control and automation. Among the other very early products distributed by the company were Alco (refrigeration valves), Mercoid (pressure & level switches), Honeywell, Robertshaw and General Controls. Davis Controls continues to represent a strong and balanced portfolio of world class products that deliver reliable and cost effective solutions to the Process Engineer looking for a level, flow, pressure or analysis solution, as well as to the manager of a factory automation project looking for programmable or discrete control of an automated operation. Davis Controls offers quality solutions for all sectors of Canadian industry, including water & wastewater treatment, power generation, food and beverage processing as well as to the manufacturing community, including automotive assembly, suppliers of automotive systems, components and modules, packaging machinery, food and beverage equipment and of course, where it all began, boiler controls.